Homeopathy is a system of medicine based on the theory that "like cures like". Dusty feels she was fortunate to find several very knowledgeable and proficient homeopathic practitioners during her recovery. Although this type of therapy is controversial in its effectiveness and might not be a good fit for everyone, Dusty felt that it benefited her in her journey to optimum health. Homeopathy or homoeopathy ¡ª from the Greek h¨®moios (similar) and p¨¢thos (suffering) ¡ª is a system of alternative medicine based on the observation of "like cures like" or the "principle of similars", the idea that substances known to cause particular syndromes of symptoms can also, in low and specially prepared doses, help to cure diseases that cause a similar syndrome of symptoms. The homeopathic doctor chooses the proper remedy by following a special rule of nature called the Law of Similars. This law states "like cures like," or that a medicine can cure a sick person if it can cause similar sickness in a healthy person. For instance, if you peel an onion, your eyes burn, itch and water. You might also have a runny nose and begin to sneeze. If you had similar symptoms during a cold or allergy attack, such as a runny nose, watery eyes and sneezing, a homeopathic micro-dose of the remedy Allium cepa (red onion) would help your body heal itself. There are literally hundreds of high quality, published basic science, pre-clinical and clinical studies showing that homeopathy works. These studies have been published in respected journals like Lancet, Pediatrics, Rheumatology, and Annals of Internal Medicine, among others. See this website for an abridged bibliography of these reports. Homeopathy is a vitalist philosophy which interprets diseases and sickness as caused by disturbances in a hypothetical vital force or life force. It sees these disturbances as manifesting themselves as unique symptoms. Homeopathy maintains that the vital force s the ability to react and adapt to internal and external causes, which homeopaths refer to as the law of susceptibility. The law of susceptibility implies that a negative state of mind can attract hypothetical disease entities called miasms to invade the body and produce symptoms of diseases. However, Hahnemann rejected the notion of a disease as a separate thing or invading entity and insisted that it was always part of the "living whole".] 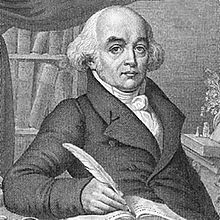 Hahnemann proposed homeopathy in reaction to the state of traditional western medicine at that time, which often was brutal and more harmful than helpful. Hahnemann coined the expression "allopathic medicine" to pejoratively refer to traditional western medicine. “Remedy” is a technical term in homeopathy that refers to a substance prepared with a particular procedure and intended for treating patients; it is not to be confused with the generally accepted use of the word, which means "a medicine or therapy that cures disease or relieves pain". Homeopathic practitioners rely on two types of reference when prescribing remedies: Materia Medica and repertories. A homeopathic Materia medica is a collection of "drug pictures", organised alphabetically by “remedy,” that describes the symptom patterns associated with individual remedies. A homeopathic repertory is an index of disease symptoms that lists remedies associated with specific symptoms. Homeopathy Educational Services - A source for books, tapes, home medicine kits and software. National Center for Homeopathy - a non-profit membership organization dedicated to making homeopathy accessible to the public. North American Society of Homeopaths - An organization of professional practitioners in North America. The information contained on this web site is provided as general information only. Using any of the information listed on this web site does not guarantee a similar result as experienced by Kimberly “Dusty” Leal and should not be substituted for any medical or psychological treatment. Any stories, testimonials or other information herein do not constitute a guarantee regarding the outcome for any individual using the healing modalities on this web site for any particular issue. While all documents/articles are posted in good faith, the accuracy, validity, effectiveness, completeness, or usefulness of any information herein cannot be guaranteed. Dusty’s Place accepts no responsibility or liability for the use or misuse of the information listed here and strongly advises that before you make any health decision you seek advise from a professional.